YA Bound Book Tours: Book Blitz Sign Up: The Knight (R. Caine High School #2) by Victoria Danann! 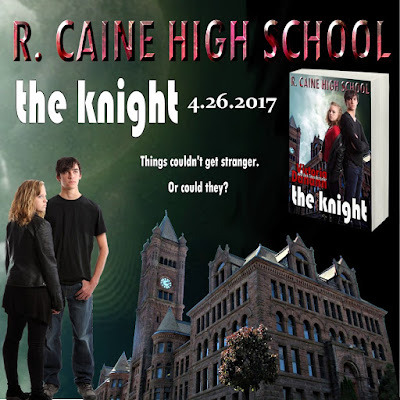 Book Blitz Sign Up: The Knight (R. Caine High School #2) by Victoria Danann! Jean Marre’s recent life has been one big surprise right after another. First his family moved to SoCal from a remote French Canadian town. Then he began feeling a strange compulsion to watch over a smart little blonde named Ever Moore. In fact he found himself restless, distracted, and uncomfortable if she wasn’t around. Before there was time to adjust to any of that, he was informed that his parents were going to South Africa for a few months and leaving him with his mother’s friend, who happened to be Ever’s mother. Life just couldn’t get stranger. Jean Marre folded himself into the front passenger seat of Ever’s car to ride to school. For the entire fifteen minutes it took to get there, neither said one word to the other. That did not, however, mean that they didn’t dork with each other all the way there. Jean Marre’s opening shot was to change her satellite radio to a different channel. Hair Band Nation. She gaped at him for a full four seconds when her eyes should have been on the road before punching the number one button to return to Sounds of the SuperNow. He stared at her blankly for a matching four seconds then, without taking his gaze away from her or changing expression, reached over and pushed the button to return to “last played”. Hair Band Nation. After three more volleys, Ever turned the radio off with a snarl. 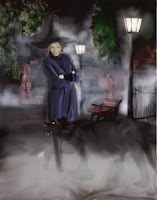 When Jean Marre started to reach for it, she gave him a look that froze his hand midair. He withdrew the offending appendage, but the challenge Ever offered with her look brought a gleam of amusement to his eyes. He did not touch the radio again. Instead he rolled down his window which, of course, threatened to make a beachy wreck of her hair. She rolled it back up. He rolled it down. She rolled it back up and, with a sneer of victory, pushed the child lock into place before he could do it again. His bark of laughter surprised her and, if she was being perfectly honest, pleased her. She was not being perfectly honest. He had a nice laugh, but she was not ready to give him any concession. She pulled into her assigned parking space, which was located in the remotest region of Mongolia because she was a sophomore, got out, and started walking without looking back. It was a hike, but at least she could bring a car, unlike freshmen. Understanding the implication, Ever sped up, which made Jean Marre laugh loud enough for her to hear. The boy seemed to revel in being exasperating. That realization caused Ever to think she needed to reform her approach to Jean Marre. Perhaps she needed to think in terms of opposite world, since everything she did rendered the reverse of a desired effect. She stopped, got control of her breathing, waited for him to catch up then fell in at the same pace. She would never admit that they were walking together. Only that they were moving toward the same place at the same time at the same speed. Together. When he said, “Excellent choice,” she knew it was his snidely quiet way of letting her know she’d been manipulated. By a boy who didn’t even want to go to college. He could not be more irritating if he tried. For all she knew, he was trying to get under her skin. 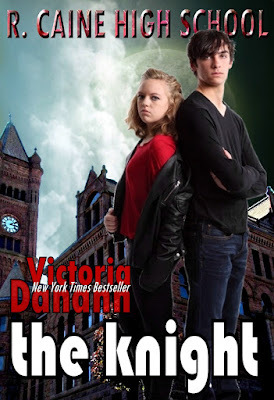 New York Times and USA Today Bestselling Author, Victoria Danann, is the author of sixteen romances, paranormal and contemporary. Her Knights of Black Swan series won BEST PARANORMAL ROMANCE SERIES THREE YEARS IN A ROW. 2013,2014,2015 - Reviewers Choice Awards, The Paranormal Romance Guild.